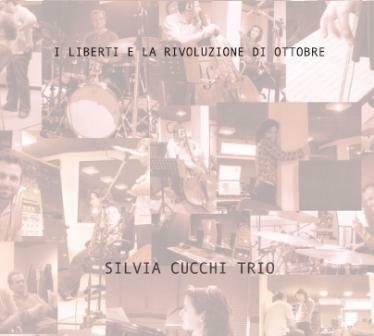 Silta records - Silvia Cucchi Trio: "I LIBERTI E LA RIVOLUZIONE DI OTTOBRE"
This outstanding Trio perform original works written in a modern Jazz language, played with fluency, taste and energy. In their music you feel a great interplay and exceptional improvisation skills. They show a great attention towards dynamics and sound, along with inventive lines and rhythms which perfectly fit the talent and strong melodic sense of the leader. This is serious Jazz!